The perfect recessionary combination of comfort food and liquor. Straight edge vegans, need not click through. 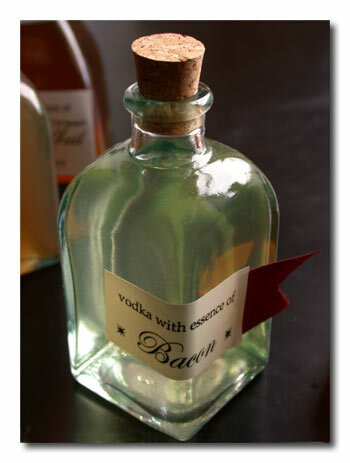 Bacon Vodka | Bacon Today. I’m not a vodka drinker, but I’d have a BLT with this. I like my martinis sizzled, not stirred.